Discount Windows has been around since 2004 and consistently works in partnership with major manufactures like Milgard, PlyGem, Sierra Pacific and Cascade Windows, so that our professional staff can guarantee that we are offering the finest quality in windows and doors to our customers for their homes or business. 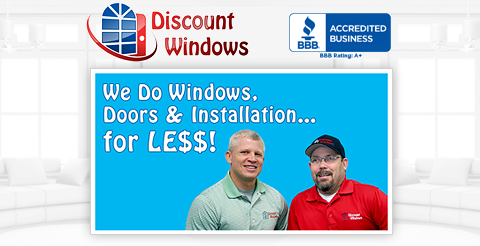 Discount Windows Springfield Oregon has over 1000 quality durable and weather resistant windows in stock for $99.00 or less. We are also proud to offer utility approved windows, which may qualify you for the credit available through the government tax program. Vinyl: Whether you are building, remodeling or renovating a residence or property our vinyl windows offer may quality styles with superior performance. These vinyl windows are not only energy efficient but are great looking windows that offer durability no matter the weather in Oregon. Fiberglass: These windows are not only durable but can be painted to your color specification with the exterior of your property, while the inside of your windows can retain their natural look or natural wood. Wood: These windows are custom made to your property or home. They may also be customized with paint, finishes, stains and more. Wood windows are a terrific product that helps maintain the ambiance and appeal of your home.